In celebration of his 70th birthday, artist/choreographer/stage designer (and more!) 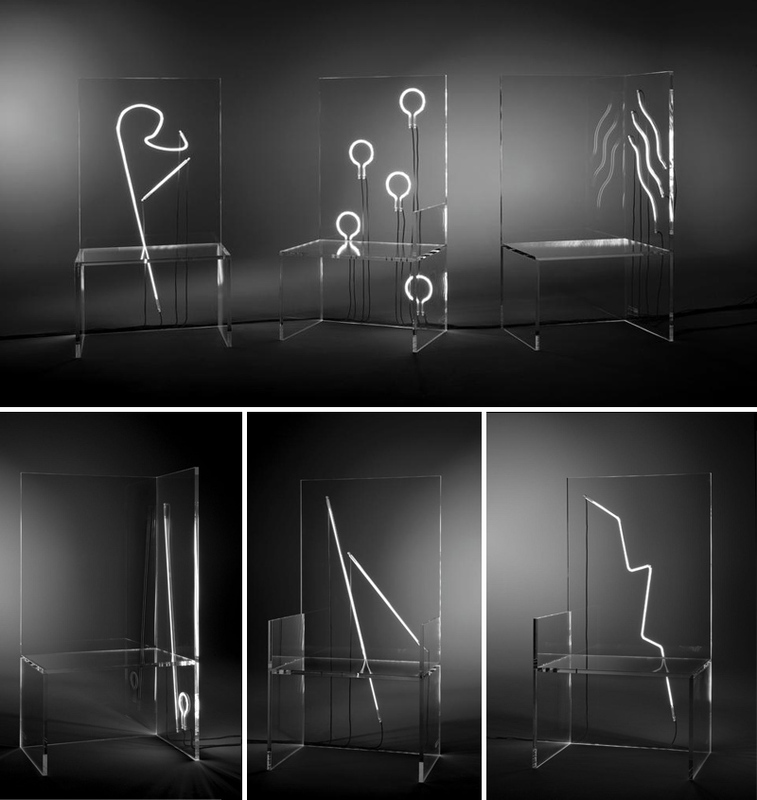 Robert Wilson has designed a set of seven polycarbonate and neon chairs produced by Kartell. The seven chairs are titled 7 Electric Chairs…As You Like It, alluding to his seven decades, seven days of the week, as well as the seven ages of man in Shakespeare’s “As You Like It.” Each chair’s neon insertion expresses a different form and power. 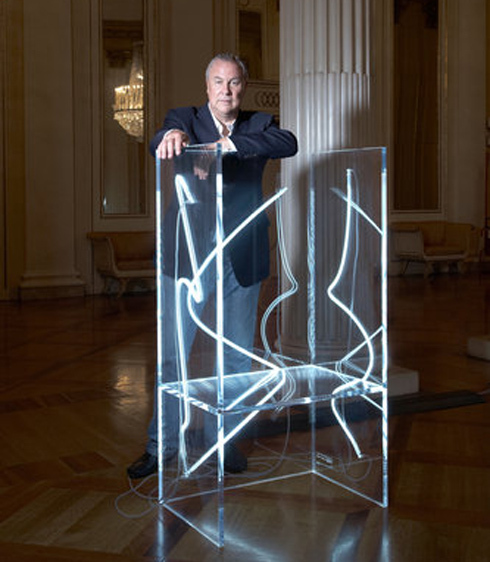 The chairs are on view in the Teatro alla Scala in Milan through the end of September and will then be available to collectors through art galleries around the world. Perfect for lumen lovers. via NY Times and Domus. Thanks Eric! This entry was posted in Art, Event, Industrial Design. Bookmark the permalink.